Urnbiz.com is designed to help teams achieve the best possible success in their business. Input is solicited from subject matter experts in designing the website. Upon release we continue to consider all feedback provided and will adopt that which makes sense for the good of all. Because urnbiz.com has a large user base, content change control is carefully considered in light of the many users who share this resource. Thank you for those of you who have contributed to our success. May you prosper with the proper use of our website. Please read these terms and conditions carefully before enrolling. You are the "User", and urnbiz.com is the "Provider". 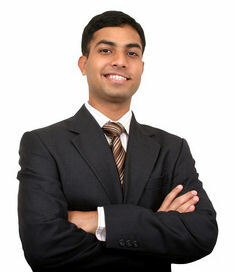 to use all services and goods provided by urnbiz.com on an "as-is" basis. No promise of future improvements or conditions are guaranteed by provider. Users are encouraged to provide suggestions and feedback to make urnbiz.com better. Provider is not obligated to adopt suggestions or feedback. Services may be termed by provider at any time for any reason. Content may be changed at any time by provider for any reason. Compliance with corporate guidelines may require alteration or discontinuation of services without notice. Prices are set to encourage use of urnbiz.com by all. Because prices are set to minimal level, no refunds will be provided for unused services regardless of the reason for termination of services. User or Provider may initiate termination of services for any reason. Thank you for your understanding and compliance with our policy.